Release stress and tension naturally with TRE (Tension & Trauma Releasing Exercises). As mammals our physiology is designed to experience, survive and release tension & trauma from the body. However due to human brain development and conditioning we have learnt to suppress our natural ability to release tension like other mammals - by shaking. TRE (Tension & Trauma Releasing Exercises) is a set of 7 simple exercises designed to release tension, stress and trauma from the body. The workshop teaches the exercises that enable you to engage with the spontaneous innate gift we all have within us to release tension through shaking it off naturally. 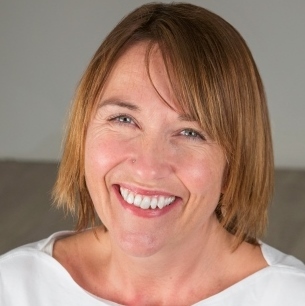 Deborah Brown is a UK Certified Provider of TRE® (Tension Releasing Exercises) with over nine years of experience working with adults, babies and children as a Biodynamic Craniosacral Practitioner in the Brighton and Hove area. Her passion for both Craniosacral Therapy and TRE is based around the practices empowering the body to shift towards natural health by releasing tension and restoring balance. She is thrilled to be working with others on their journey's exploring how it is to trust in the wisdom of the body. Please note that we have limited the number of participants to a maximum of 11, to ensure a more intimate and personalised experience. If you have any physical injuries or a history of complex trauma please contact Deborah prior to booking to discuss. As a precaution the workshop is not suitable in pregnancy. The session will take place at the Cornerstone Community Centre, Church Road, Hove BN3 2FL.